Halloween is a time for tricks, treats, and memorable moments that will last a lifetime. 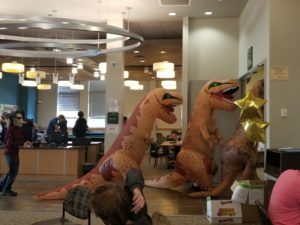 From costume contests to the antics, Frederick Community College had both of those events covered by the staff as well as the students throughout the day. 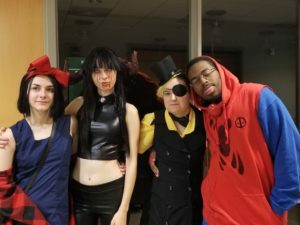 When noon rolled by at the Cougar Grille, FCC held the annual costume contest for both students and staff on campus, giving out prizes to the top winners. It was a tough decision made by the judges on who won the contest in the end. 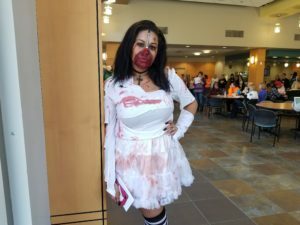 Alexis Sterling, 20, and an audiology major won first prize dressed as a Zipper Zombie. 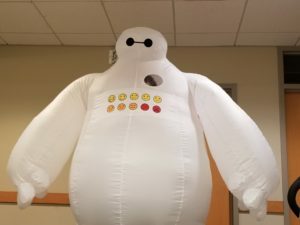 The costume had taken her two hours to make, but it was well worth it in the end. 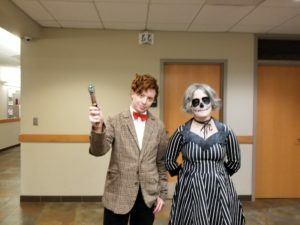 Sterling’s creativity does show in her costume that won her first prize, and other students added to the creativity as well with their costumes. 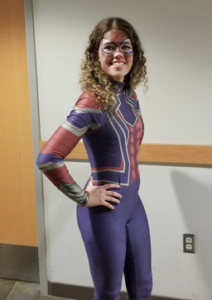 Melanie Bambrick, 20, is a fine arts major dressed up as the Iron Spiderman from the latest Avengers movie. 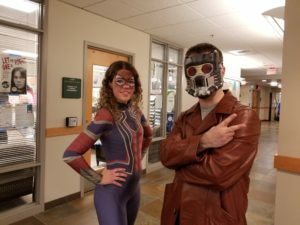 The costume took her a few hours to put together as well as the makeup for her mask, but it brought back found memories. 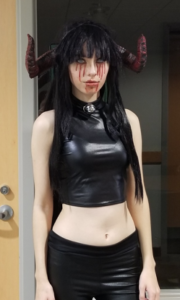 Jillian Steele, 18, is a psychology major dressed as a demon for the festive occasion. 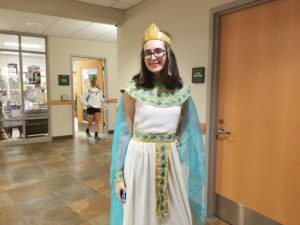 She had thrown the outfit together and had put extra time into the accessories of the costume to go the extra mile. 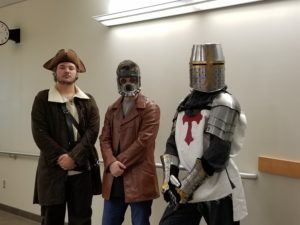 When it comes to cosplaying, a lot of time and creativity is put into each costume, every little detail is accounted for. 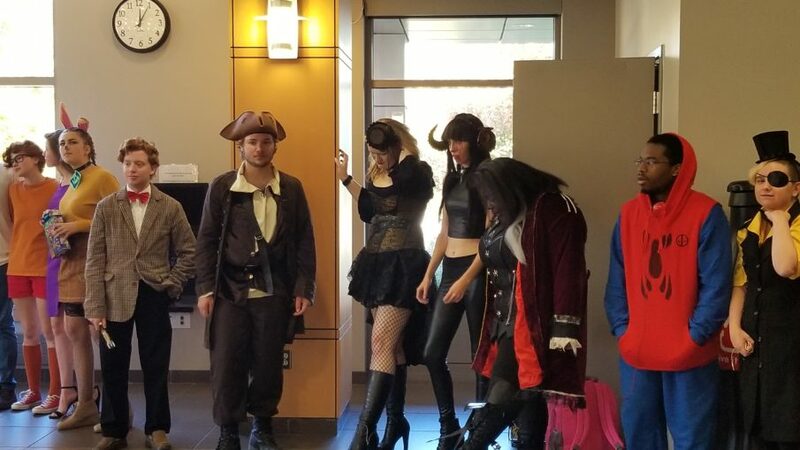 Even if it does not take long to put together an outfit, the additional accessories, makeup and thought put into the costume really drives it home no matter the occasion. 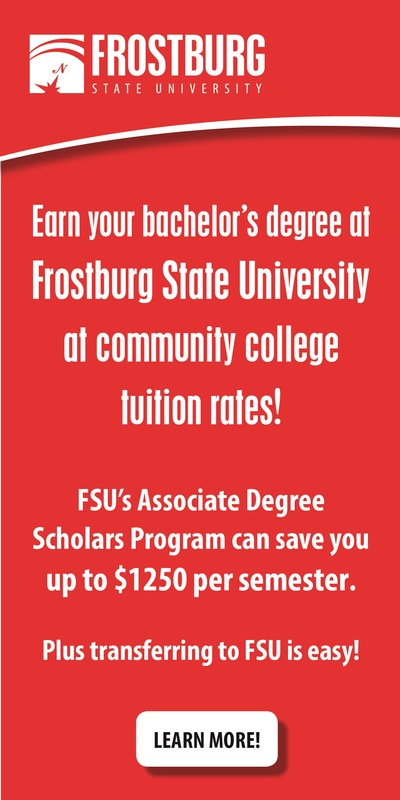 There is a lot of creative and talented students at FCC and it shows. In between classes students had been enjoying themselves and creating some lasting memories to laugh about down the road. 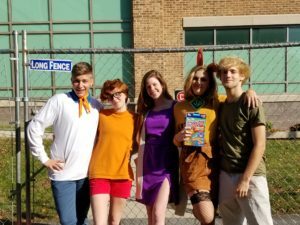 From the three inflatable dinosaurs running around the campus to the wandering Scooby-Doo gang, the day was full of moments to remember. Though Halloween only comes once a year, the spirit of the season never dies.